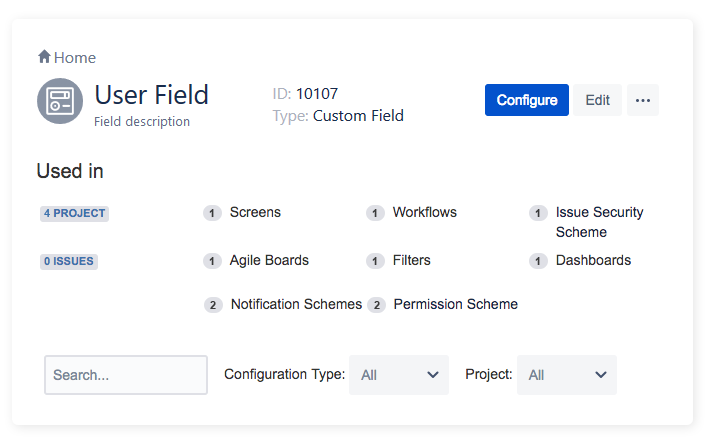 Power Admin enables Jira administrators to search and find configuration elements by Name or ID quickly. The powerful mechanisms of the search engine allow for the filtering of data based on object usage or its type. The search results provide end-to-end information regarding the usage and change impact for each configuration element, as well as an ability to drill down the chain of dependencies of each element. How many times have you stumbled upon a configuration element you wanted to configure or delete quickly, but the functionality of the current UI didn’t accommodate for such quick action? Power Admin for Jira allows a variety of quick actions – such as edit, copy, configure or delete – to be performed on certain configuration elements, thus allowing you to save hours of navigating through pages and thousands of clicks per month. Power Admin is an invaluable help for administrators during clean-up and performance optimization initiatives. 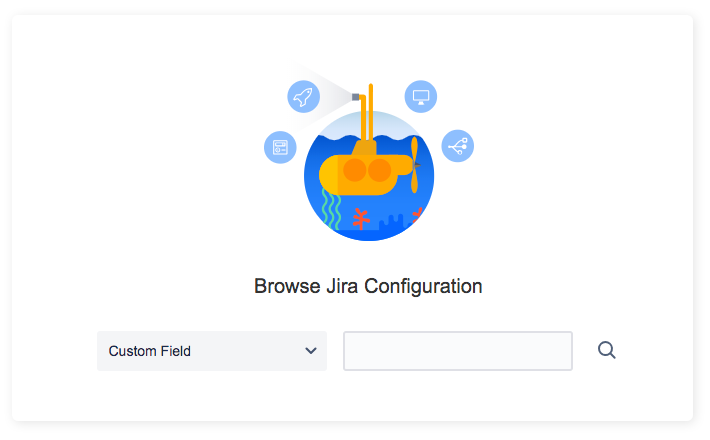 The powerful search and filtering mechanisms enable administrators to quickly identify unused or rarely used configuration elements and delete them from the existing Jira configuration with a single click. 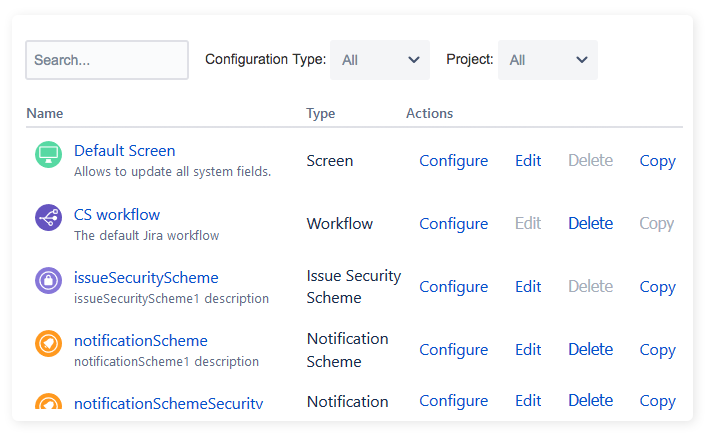 Additionally, Jira admins can identify similar configuration elements and reuse them instead of creating new ones. 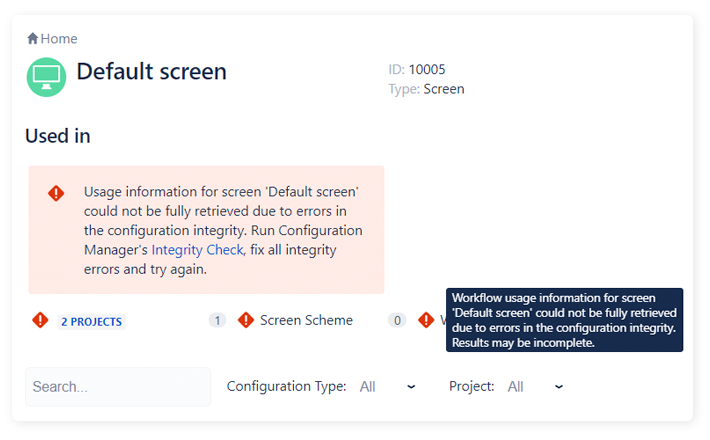 Configuration Manager’s powerful Integrity check provides a single point of truth for the health of any given Jira configuration. The Power Admin goes a step further – in addition to identifying problematic areas of the Jira configuration, it retrieves the necessary data for admins to quickly determine the root cause and provides invaluable tooltips for resolving errors.